A progressive three days climbing around Chamonix focusing on efficient movement on rock. 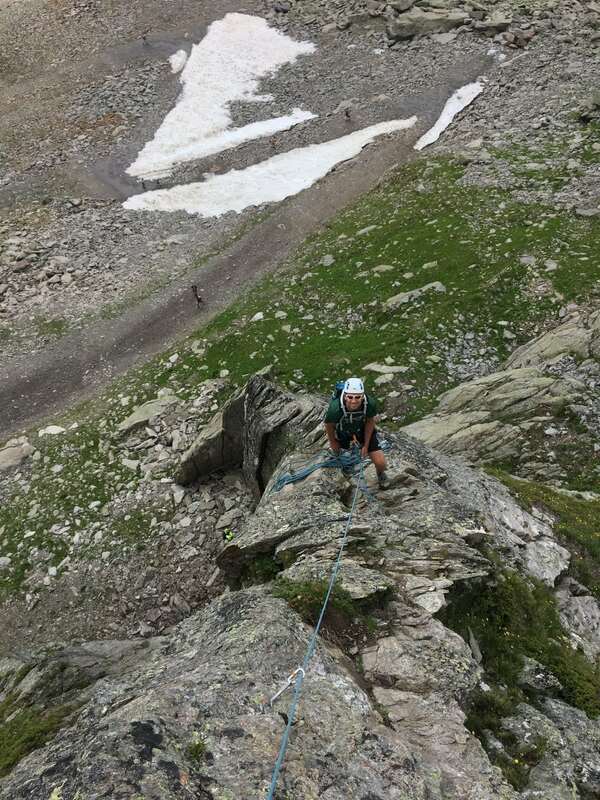 We aim to climb the long AD "normal route" on the Aiguille du Peigne, a fine peak above the main Chamonix valley. 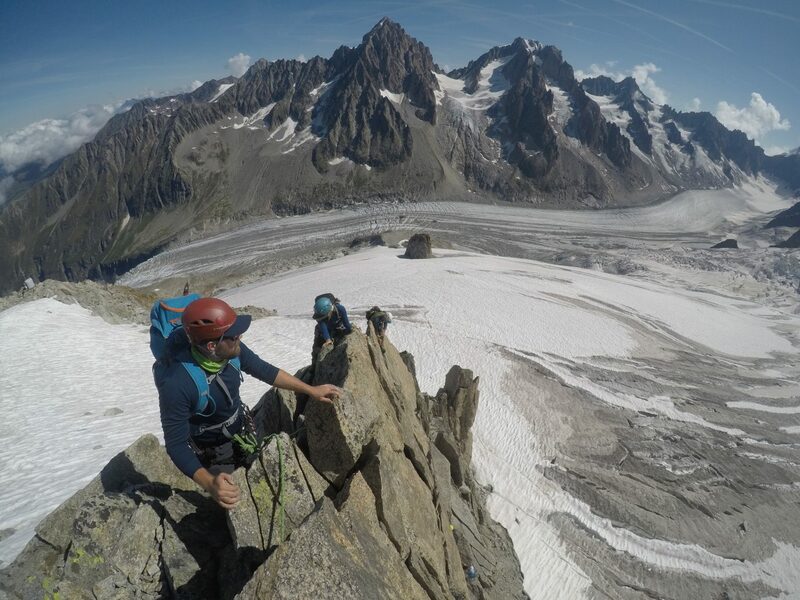 These three days are ideal preparation and acclimatisation for higher peaks such as the Matterhorn and Eiger. Climbing in the Aiguille Rouge we get some good mileage done in big boots and practicing relevant techniques such as abseiling, lowering and different belay techniques. Night in Chamonix. 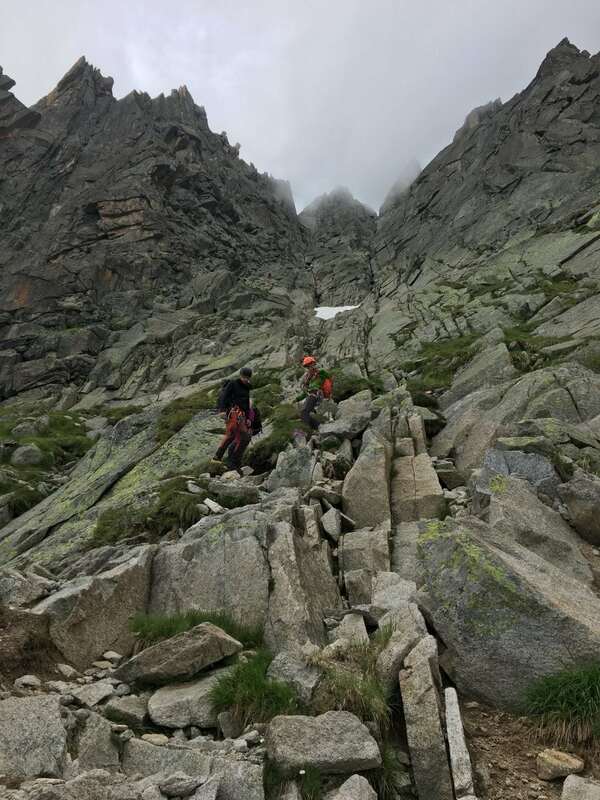 Aiguille de Peigne "normal route". 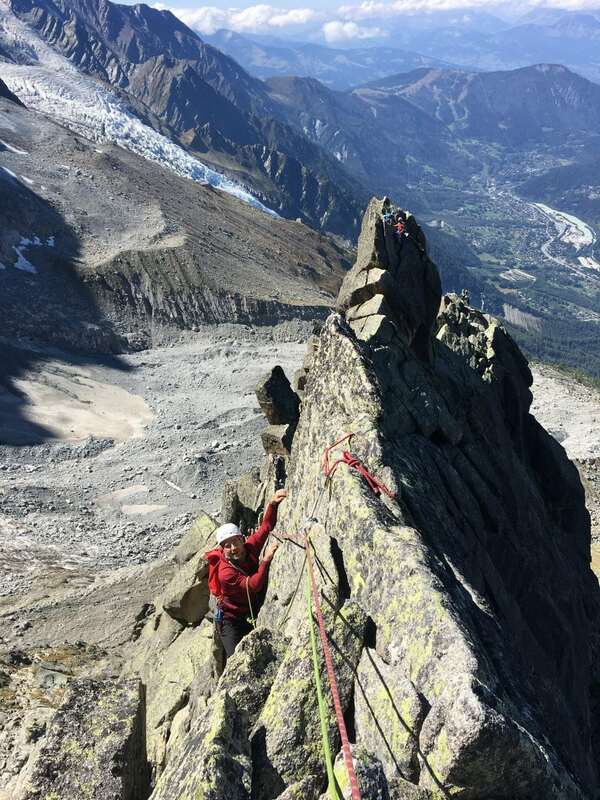 This rocky peak above the mid-station of the Aiguille du Midi presents a variety of mountaineering and climbing challenges including both scrambling and pitched climbing. You will climb in both boots and rock shoes. It is a long day and we enforce turn around times to ensure everyones safety. After yesterdays efforts we use the Aiguille du Midi or Helbronner lift to access some mixed terrain at altitude. It is a opportunity to get on some snow and ice and also to get more acclimatised if you're planning on a extension to this trip. Guiding fees, logistics & travel within the Chamonix valley. Lift passes, Chamonix accommodation, equipment rental, insurance, flights and any other expenses not listed above. This trip needs two climbers to run. For private guiding at a 1:1 ratio contact us for dates.